← Seven Tips For A Successful Princeton Car-Free Day on Monday, September 22! At the Princeton Council meeting on September 8, there was a lively discussion about a plan to set up a task force to consider the possibility of adding affordable housing at two sites that Princeton’s municipal authorities have recently acquired. 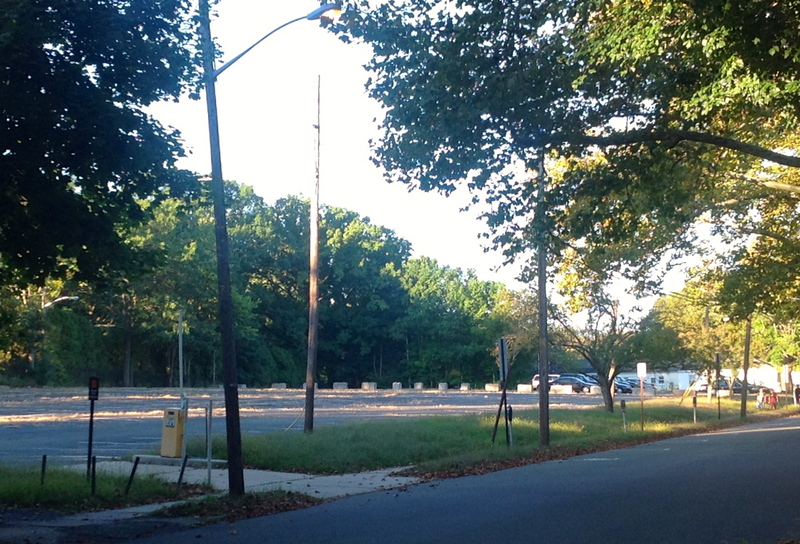 A parking lot at Franklin Avenue and Harris Road was donated to the town by Princeton University. And a plot at North Harrison Street and Clearview Avenue was given to the town by Princeton First Aid and Rescue Service as a result of a land-swop deal that will see the town underwrite construction of a new PFARS station at Valley Road and Route 206. The good news for those of us who are concerned by the dire lack of affordable housing in Princeton is that everybody supports the concept of affordable housing. But there are sharp differences between the supporters who want to build new affordable housing, and the supporters who think we should wait, or consider not building new housing at all. Among the Council members, Lance Liverman and Heather Howard (who are both up for reelection next year, and likely to face a fight in the Dem primary) appeared most strongly in favor of moving ahead with the task force. Howard observed that Princeton’s Council members had been appalled by Third Round COAH rules that envisaged no new affordable housing in town. She suggested it was time for proponents of affordable housing to ‘walk the walk’ instead of just talking about their support. But Jo Butler, fresh off her own primary victory in June, expressed consternation at the speed of the process, and suggested that open space or a recreational use should be considered for the sites. She added that in regard to redeveloping the Franklin and Clearview sites, “there really is no rush”. Patrick Simon also said that setting up an affordable housing task force was ‘the wrong way to go about it’ and made an unsuccessful attempt to table further discussion of the task force. Jenny Crumiller said that she was concerned about municipal finances, because the town would be taking on debt to build the new PFARS site, so it might be appropriate to sell the Clearview site instead of donating it for affordable housing. Bernie Miller suggested opening up the remit of the task force to consider all available sites for affordable housing – as had been done previously for planning municipal open space acquisition. Mayor Lempert seemed skeptical about this, observing that the Clearview and Franklin properties were available now, not subject to other municipal uses, and represented a clear opportunity to add affordable housing relatively quickly. But the idea of a more holistic process won out, with the Council voting to consider all ‘publicly-owned’ properties. During public comment, there were dissenting opinions about what should whether the town should build more affordable units. Carol Golden, of the Princeton Housing Board, urged action, because the current affordable housing waiting list includes 1,900 people. But another local resident argued, to applause from the floor, “I don’t care if the waiting list is half a million…what’s being proposed under the name ‘affordable housing’ is not a solution- it makes the problem worse!” Others called for a park on the Franklin lot, even though there is already a park and playing field two blocks away, at Harris and Guyot. Despite fears about density, it is clear that Princeton needs more housing, particularly housing for low-income and middle-class people. The people who would live in this new housing are not some bunch of random blow-ins. In most cases they are the same people who work in our town every day, people who have family in our town, and even the sons and daughters of current residents. Princeton used to make plans for where people would live, but since about 1970, policy has focused on keeping new residents out. It’s time for this to change, so it’s great news that the affordable housing task force has been set up. We look forward to its progress and hope for an efficient and fair process. What do you think about affordable housing in Princeton? What sites are most appropriate for new housing? How can a balance be struck between the needs of existing residents and the 1,900 people on affordable housing waiting lists? Let us know in the comments below. This entry was posted in Affordability, Density, planning, Princeton, Zoning and tagged Affordable housing, coah, Princeton. Bookmark the permalink. Alexi, the 45% increase reported is an artifact of miscounting in the Borough by the US Census Bureau in 2000. This quirk is well known (see: ‘Princeton & Greater Princeton; A Statistical Portrait’, presentation by Ralph Widner to Princeton Future, March 16, 2013 slides #24-28, accessible at http://www.princetonfuture.org/16mar13ppt.pdf). Once you set that erroneous data aside, and look at the long-term trend, you will see that Princeton (meaning Borough+Township together) grew by just 10% between 1970 and 2010, even as Plainsboro, West Windsor and Montgomery grew by an average of over 700%. The population of Princeton Borough actually *declined* between 1970 and 2010, even as the University expanded. You can argue that there was no space left for growth in the Princetons but that was not true in the 1970s – 1990s. Land was available, but it was zoned for large-lot homes to intentionally minimize population growth. I don’t follow you. Raph Widner argues that the 2000 population count for Princeton Borough is too high (see below for text from slide 25 in presentation you reference above). If the 2000 population number is too high — then the increase in population in 08542 zip since 2000 as reported on usa.com since 2000 should be even higher than the 45% they reported, no? “To count college students we must correct a 2000 Census miscount. Here are the population numbers by decade from the Demographic Study from Princeton Public Schools (July 2014). If we leave out the 2000 census number we see an increase of population in Princeton from 1990 to 2010 from 25,214 people to 28,572 people. See on the Princeton Board of Ed site http://www.princetonk12.org/Board/ under Studies and Reports, the Aug 2014 demography study. Referred to elsewhere on Walkable. Where did you get the idea that Princeton has a policy of keeping people out since 1970? US household size has decreased from 3.67 per household in 1948 to 2.55 in 2010. As such, the number of households is a very poor metric of number of people. If you count people instead of houses, you’ll observe that the growth rate of Princeton has plummeted since 1970, even as nearby towns have seen vigorous growth in population. The former Borough has even seen a population reduction since 1970! Homes have been built for people in Princeton throughout the last decades. If people choose to live with fewer people in each home, this does not mean that Princeton is “keeping new residents out”. I find the opposition to additional housing to be pretty strange. Even in a worst-case scenario, why would additional housing options for students be anything but a good thing? Thanks for sharing both sides.